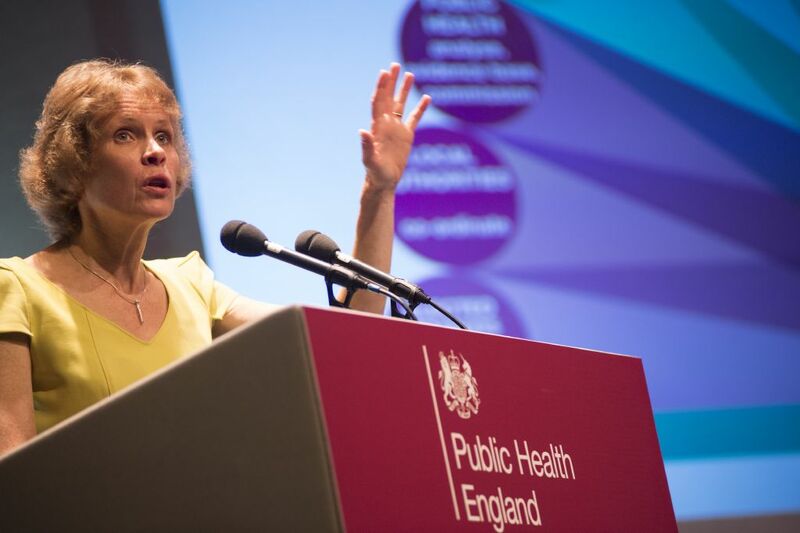 Planning a conference that covers such a broad field as public health is no small challenge, but I have been delighted to hear lots of positive feedback from those who attended PHE’s Annual Conference a few weeks ago, including delegates from right across the public health community. As well as addressing the big issues of the day, we looked beyond the traditional realms of public health to hear from people outside of the sector who are making a real difference to health and wellbeing at a local level. Here are just some of the highlights. The big news story to hit the headlines on the first day of conference was new data showing that 3.8 million people in England aged over 16 had diabetes in 2015 – around 9% of the adult population. The statistics come from a new diabetes prevalence model for local authorities and CCGs, which also suggests that 1 in 4 people with diabetes, an estimated 940,000, are unaware of their condition. We are responding to this increasing burden of ill health with the Healthier You: NHS Diabetes Prevention Programme. A session that morning outlined the evidence base and development approach behind the programme, which aims to support 100,000 people to reduce their risk of diabetes annually by 2020. A major cause of diabetes is obesity and overweight, and on the second day of conference the keynote address was delivered by Professor Susan Jebb, Professor of Diet and Population Health at the University of Oxford. Professor Jebb highlighted the fact that the UK has some of the best surveillance data on obesity in the world – but also the shocking statistic that 1 in 5 children are obese by the time they leave primary school. Referring to the Government’s recently published Childhood Obesity Plan, she was confident that the new plan would keep us on track to deliver the incremental change required to tackle obesity in both children and their families. Partnership working will be key to success, she added, and PHE’s Change4Life programme will continue to be incredibly important. Professor Jebb also commended PHE as a ‘safe home’ for the important work on sugar reformulation now in full swing. We also welcomed Sir David King, the Foreign Secretary’s Special Representative for Climate Change, as the first speaker for PHE’s new Distinguished Lecture series. Sir David gave a powerful presentation that outlined the real risks to the planet and its populations from rising temperatures, and their potential impact on health here in England and across the UK. However, things are slowly changing, and the low-carbon economy in the UK now turns over £120 billion a year. 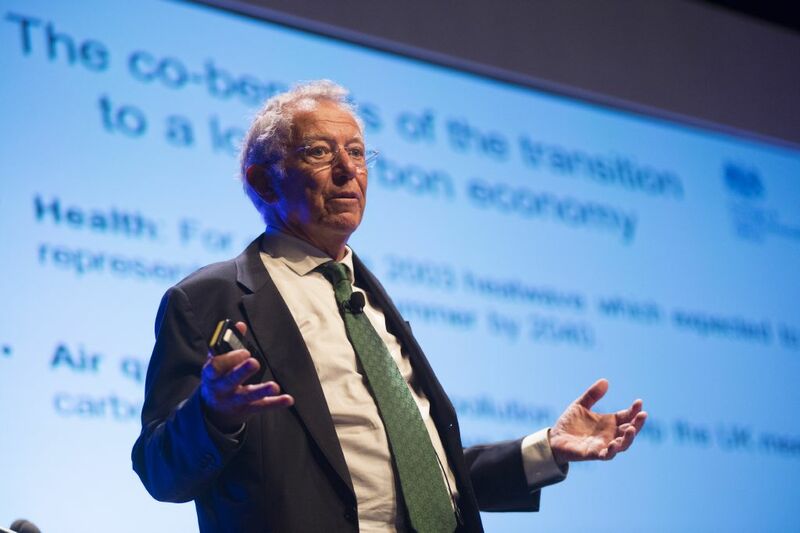 Sir David pointed out that it is the co-benefits of the transition to a low carbon economy that often drives countries to shift their investment – such as better health and air quality for their populations. 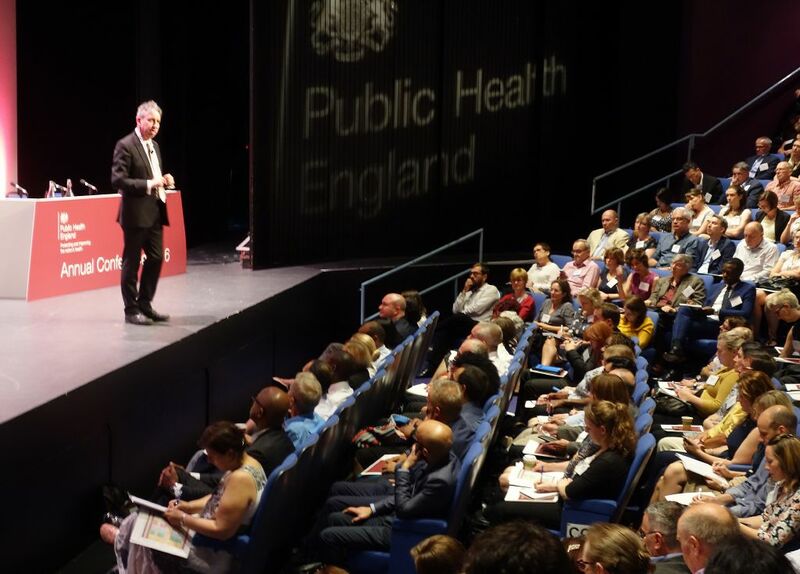 Following Sir David’s talk, I blogged about how PHE is working to address sustainable development and climate change. The conference truly reflected the broad range of issues and huge variety of stakeholders covered by public health. The importance of community was a common theme across many of the sessions, from creating healthier environments to tackling unemployment at a local level. We asked two community organisations – Wandsworth Community Empowerment Network and Kingfisher Treasure Seekers from Gloucestershire – to join us for a pre-conference workshop on ‘whole system, community-led approaches for better health and wellbeing’ and discuss how we can make the most of the knowledge, skills and resources residing in local communities. Nearly half of the 48 sessions included or were led by local government colleagues, and we also heard from local ‘blue light’ services including Greater Manchester Fire and Rescue, Lancashire Constabulary and Yorkshire Ambulance Service NHS Trust, who demonstrated how they are incorporating health and wellbeing interventions into their existing services. As well as demonstrating the vital, innovative and widespread work going on right now to improve health and wellbeing across the country, the conference also looked to the future, with a number of sessions exploring new innovations in digital health, the potential to save lives through data science and how we can start to re-engage nature and health. Paul Hamblin, Executive Director of National Parks England spoke to delegates about how our national parks are contributing to health and the importance of promoting outdoor exercise. And a session on public health futurology explored the massive social and cultural shifts seen in recent years, driven primarily by technological advances in communication, media and travel, and what these shift might mean for public health interventions and practice in 2030 and beyond. This session certainly sparked lots of action on Twitter. Many of the presentation slides are now available to view online. As always, I am keen to hear from those who attended about their experiences of the PHE Annual Conference this year. What did you take away from the event? How has it influenced your current practice? What would you change for next year?